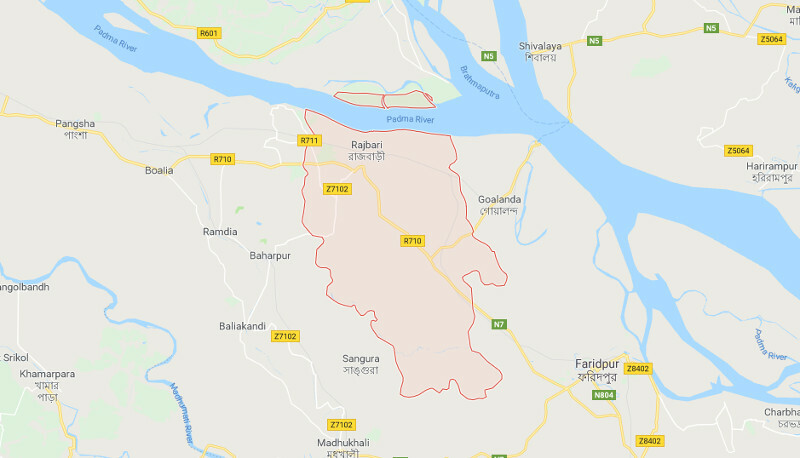 Two people were killed when a private car carrying them plunged into a roadside ditch at Shyamsundar in Kalukhali upazila of Rajbari early Thursday, UNB reports. The deceased were identified as driver of the car Manir Hossain, 32, son of Hashem Molla of Manikganj district and Ripon Quadir, 30, son of Swajan Kazi of Mirzapur upazila in Tangail district. SM Abu Farhad, officer-in-charge of Kalukhali Police Station, said the accident took place around 1:30 am when a Khalukhai–bound car plunged into a roadside ditch as its driver lost control over the steering, leaving both the driver and the passenger dead on the spot. On information, police recovered the bodies and sent those to local hospital morgue for autopsy. Ripon met the tragic incident while going to his father-in-law’s house in Kalukhali, said the OC.